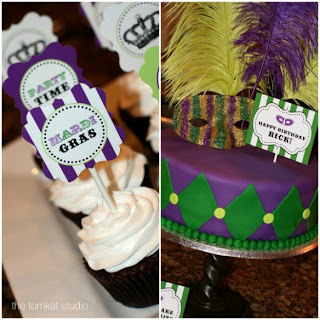 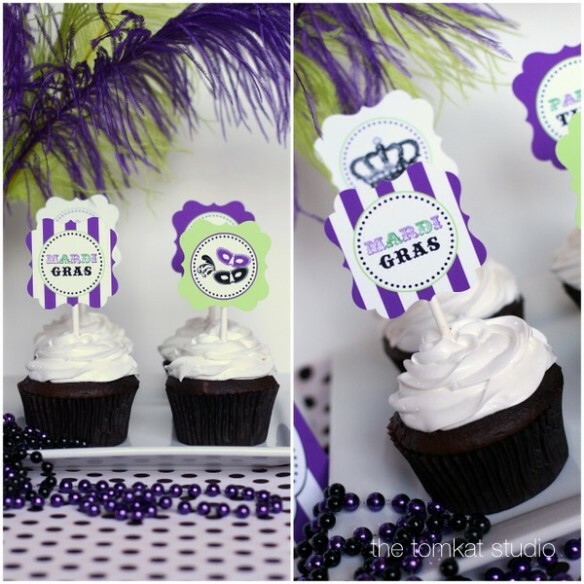 Crafty Texas Girls: Mardi Gras- Free Printables! 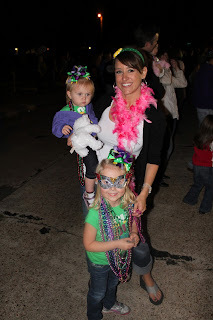 We took our girls across the state line to go to a Mardi Gras parade! 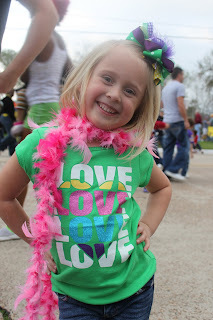 Here is what we wore- along with a ton of beads. 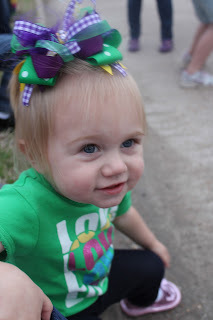 Mardi Gras Rosette Headband- buy it here $10. And if you are having a Mardi Gras party, here is a little something for you. 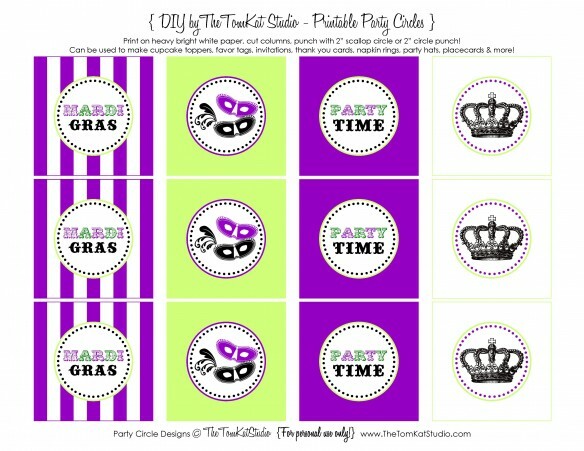 Free printable party circles from The TomKat Studio. Just click here to print.